A warm Sozo Hair Design welcome to our brand new stylist fashion and beauty consultant, Gaelle Skura. We are totally excited to have her onboard and look forward to introducing her to you! 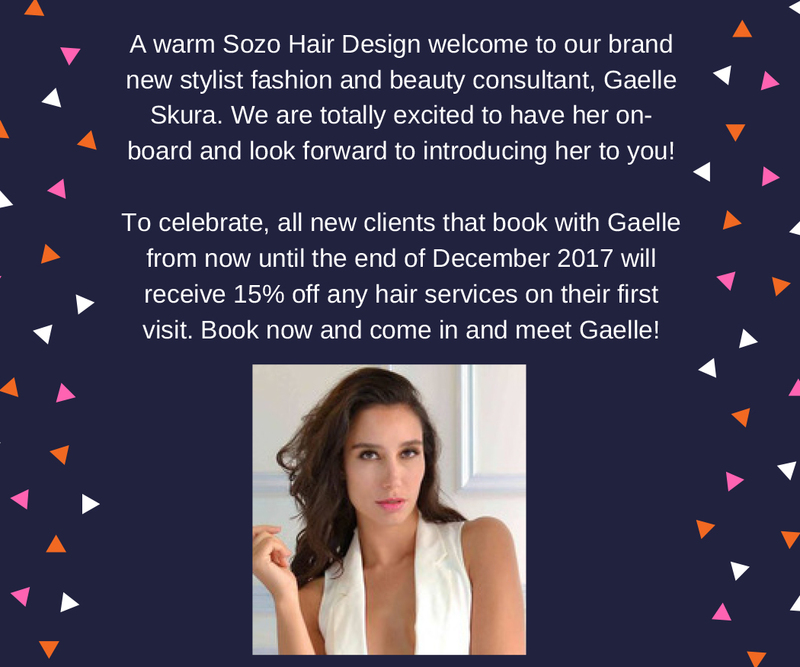 To celebrate, all new clients that book with Gaelle from now until the end of December 2017 will receive 15% off any hair services on their first visit. Book now and come in and meet Gaelle!